Print consistent, professional documents you can depend on, using Original HP Toner cartridges with JetIntelligence. Avoid costly reprints and help ensure flawless performance and HP quality you expect—something the competition can’t match. 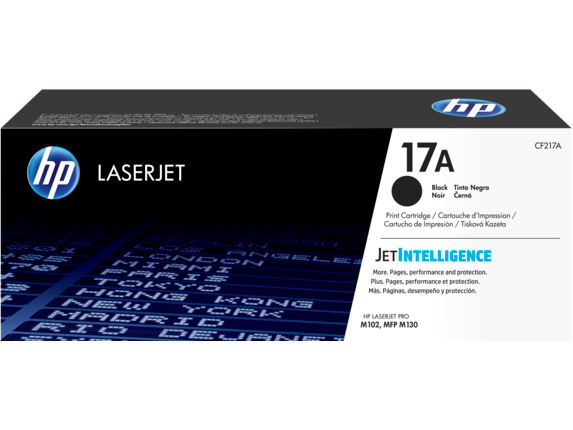 HP 17A Black LaserJet Toner Cartridge. Make the most of your investment with built-in technology that helps you get the most prints possible. Help manage costs, decrease help desk calls, and count on consistent, professional quality. Count on consistent, impressive quality and performance, using Original HP Toner Cartridges with JetIntelligence—designed to help protect your investment and help your printer work its best. Count on consistent, impressive quality and performance using Original HP Toner cartridges with JetIntelligence—designed to help protect your investment and help your printer or MFP work its best. For More Information Click Here For Manufacture Link…..